Police are asking for the public's help in locating a bus shelter which was stolen from Granity, New Zealand. 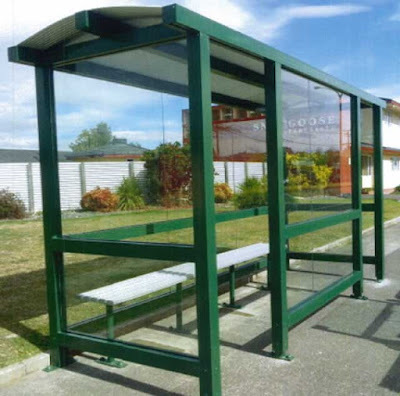 It is unclear when the shelter was stolen but it has occurred between June and August while building work was being completed in the area. It is highly likely someone knows where the shelter is due to it being a unique item to take. 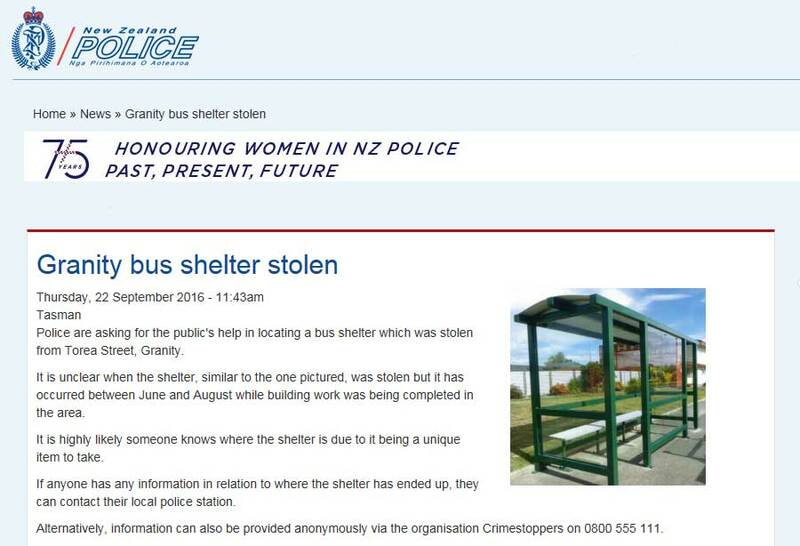 If anyone has any information in relation to where the shelter has ended up, they can contact their local police station.